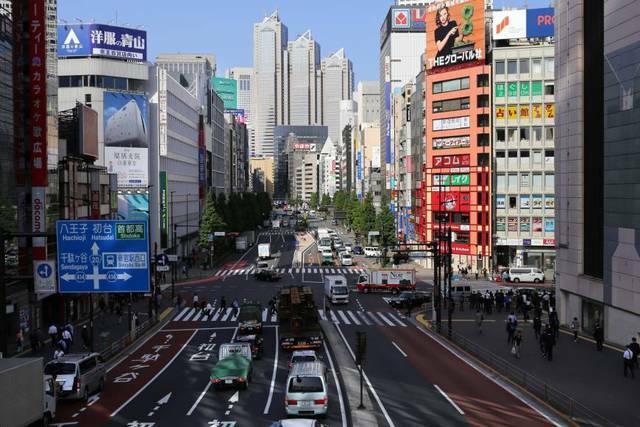 Mubasher: Japan’s economy was expected to have rebounded in the second quarter of 2018, after shrinking for the first time in two years, official data showed on Friday. The preliminary estimates revealed that the country’s gross domestic product (GDP) rose 0.5% in the second quarter, compared with the first quarter, when a quarterly decline of 0.2% was estimated, the Cabinet Office said. The reading represents a quick shift after a series of eight straight quarters of growth, the best growth streak seen since the booming 1980s, were interrupted by a decline in the first quarter of 2018. On an annualised basis, the world’s third largest economy grew 1.9% in the three-month period ended last June, after a contraction of 0.9% in the previous three-month period. Moreover, private consumption, which represents for about 60% of Japan’s GDP, went up 0.7% between April and June, following a 0.2% decline between January and March. Moreover, capital expenditure rose 0.6% in the second quarter, for the seventh quarter in a row, picking up steam from the first quarter when growth was seen at 0.3%. External demand, the volume of exports less imports, added 0.1% to GDP between April and June, similar to the same contribution observed between January and March. This came amid as the US-led trade disputes sent a shudder of fear among the economic prospects. Washington has been pressuring Tokyo for a bi-lateral free trade deal as a way to slash the US trade deficit, to which Japan responded that it prefers multi-trade approach. US President Donald Trump is expected to demand Japan to trim its trade surplus with Washington, at the time when he threatens China with larger tariffs, which could spark a global trade war. Analysts warned that trade war triggered by the US could be a major risk at the time when the country’s economy is still struggling against deflation.